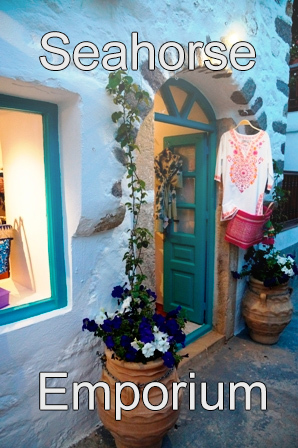 Patmos is one of the main religious destinations for millions of people on this planet, irrespective of their Religion. One can enjoy local dishes and take edible gifts for ones friends. 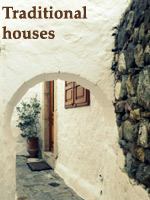 Patmos is famous for its wonderful cheeses produced by local cheesemakers. Mizithra (dry mizithra for spaghetti) and the "Kalathoto," a hard cheese made from ewes' and goats' milk. The Unique delicious cheese "Ksinomizithra" goes perfectly along side Greek café and often is served after church services. Touloumotiri is a soft, grainy, spicy and peppery goat cheese that matures in goats skin and turned upside down (touloumi). The Tradition Cheese Pie is made in local houses and consists of eggs and three or more different cheeses, depending on how many 'leftovers' there are. The filling is called "batoudo" and is sprinkled with cinnamon. The Patmian cheese pie is a special traditional snack eaten with the morning coffee. Traditionally there were vineyards on the island that produced white wine "Moschato" Muscat of Alexandria, and "Fokiano" a red wine of a slightly sweet variety, that was exported even as far as Egypt. Press basins were situated inside the farmers' houses. In more recent years only a few vineyards existed with a small production, only for private consummation, but those nostalgic of the former acme, have started to cultivate vineyards and produce wine. 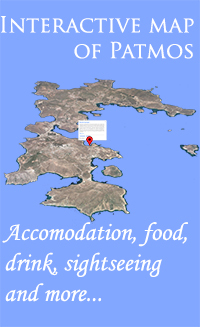 Patmos has a verity of traditional breads, sweets, drinks and savory dishes. Fried "Pouggia" a sweet with nuts and honey, "Ahladakia" a kind of marzipan, "Dasogalo" a drink of almonds and rose water drunk on Good Friday. Some traditional savory dishes are "Kolokithoanthi" courgette flowers stuffed with rise and cooked in a saucepan. A common Easter dish is "Katsikaki (kid) kapama," cooked with tomatoes, fried potatoes and a cinnamon stick. Stuffed kid "Katsikaki" and "Katsikaki kapama," kid, spaghetti and lots of grated cheese are traditional dishes served at weddings and celebrations. A traditional bread is "Schinopsomo" made from the fruit of Schina (carob) with sugar, cinnamon and salt". 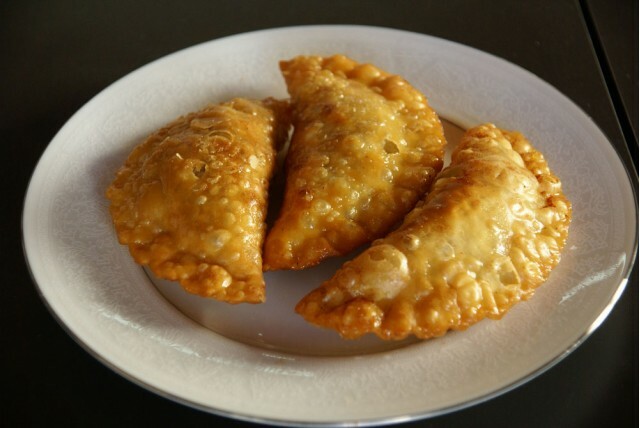 Exceptional sweets are "Pouggia" fried or cooked in the oven, and Xerotigana. 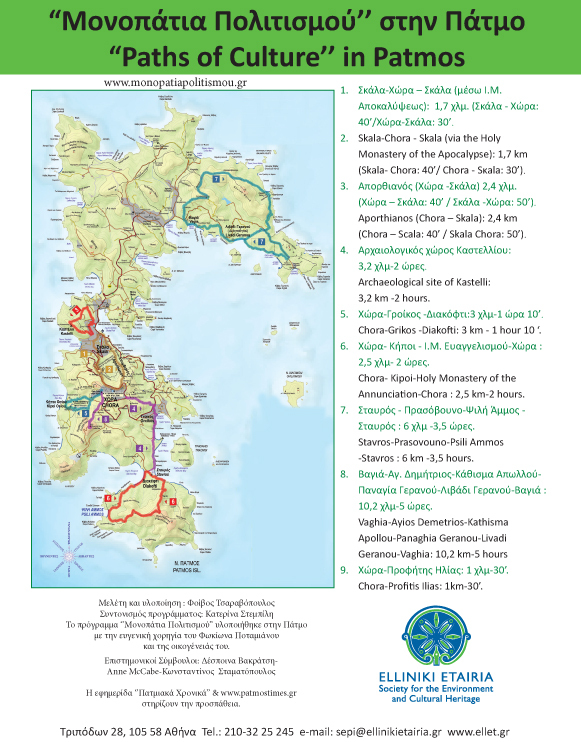 At the top of the list is "Svigi" and the drink "Dasogalo"
As for ambulatory tourism , the old paths have already been marked on the map below which will help you get to know our island in the old traditional way. On the 16th September 2004 it was documented, in the Greek Official Journal No. 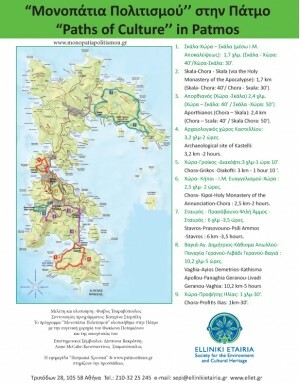 1417/16.09.2004, that 14 islands and islets are of exceptionally environmental importance. Specifically, it consists of the area around: Arki and Marathi islands, 10 islets, together with the rocky islets of Anidro and Petrokaravo. 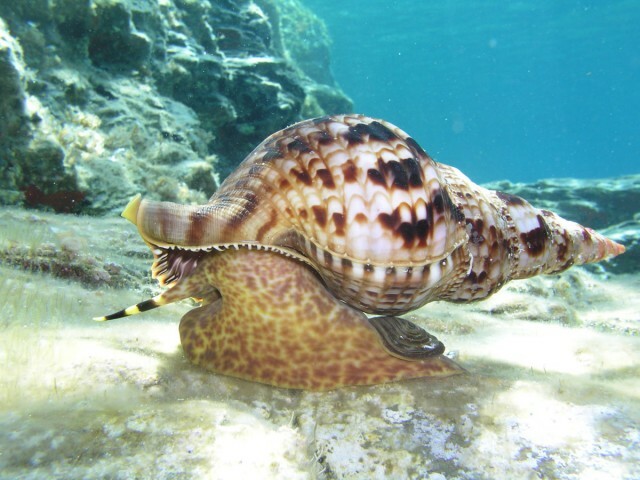 The biodiversity of the area around Patmos is unique. You will enjoy diving in its crystal clear waters or by sailing on a recreational craft. In both cases there are professionals to guide you around. The sea is rich in Posidonia Seagrass that needs to be respected when anchoring. 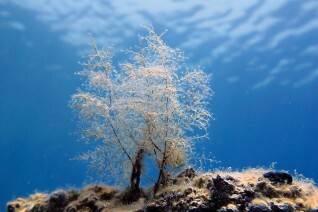 Posidonia Oceanica Seagrass in the Mediterranean has been measured as the oldest living organism on Earth at over 100,000 years old. Posidonia seagrass beds are protected habitats, which have a fundamental role in the health and productivity of Mediterranean marine ecosystems. Coralligenous reefs are biogenic assemblages formed from red algae, belonging to the family Corallinaceae, that produce a calcium carbonate skeleton which forms the basic structure of the reef. They are found within the Aegean Sea and Western Mediterranean in areas of dim light, reaching to depths of 150 meters. Coralligenous reefs (known in Greek as "tragàna") are probably the Mediterranean's best-kept secret. A large number of Mediterranean seals, that are threatened with extinction, live in this area along with a population of 4 different species of dolphins and one species of sea turtle. This area serves as an important flyaway (migration path?) and also a breeding area for a large number of protected species of birds. There are plant species that for centuries have been predominant in the area: the Oak – Aria (Querus ilex), as well as other self grown (perpetuating?) plants that have disappeared due to various causes including grazing and erosion. The creation of a bank of seeds for local varieties is underway, This is promoted by the cooperation of "Archipelagos" Marine Conservation Research Institute and the Project Patoinos domaine D'apocalypse (vineyard). They are aiming towards the reintegration of local varieties of arable plants, that are in danger of extinction due to the genetic erosion, in an active cultivation leading to the production of local, quality branded (ecological) products. For example the cultivation of chickpeas, known as "fliskoudi" could be given a boost, as it has disappeared from the area. The same of course can be applied to other local garden varieties.